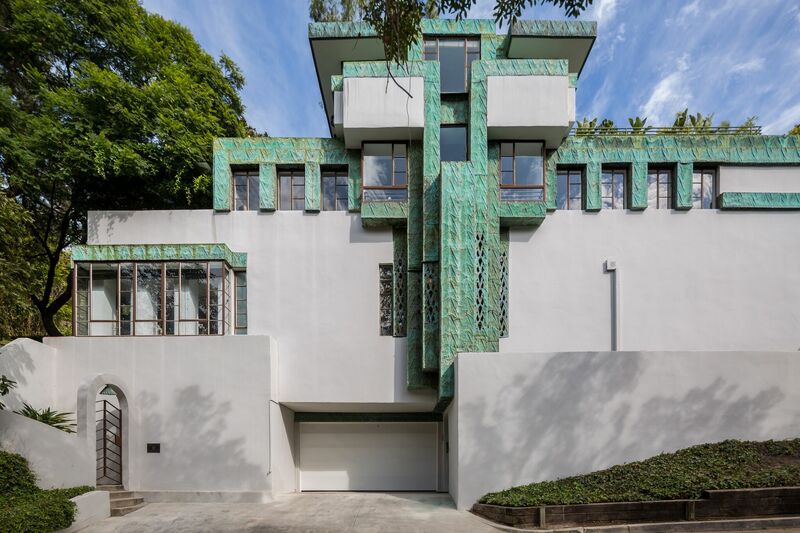 Lloyd Wright Jr.’s 1928 Samuel Novarro House is both a stunning display of architectural excellence and a notable piece of Hollywood history. The Mayan-inspired Art Deco home has been meticulously restored, keeping the architect’s vision intact. Lloyd Wright signatures are evident throughout, including oxidized copper accents on the front exterior. With a perfect indoor-outdoor flow, this home exemplifies the Southern California lifestyle. 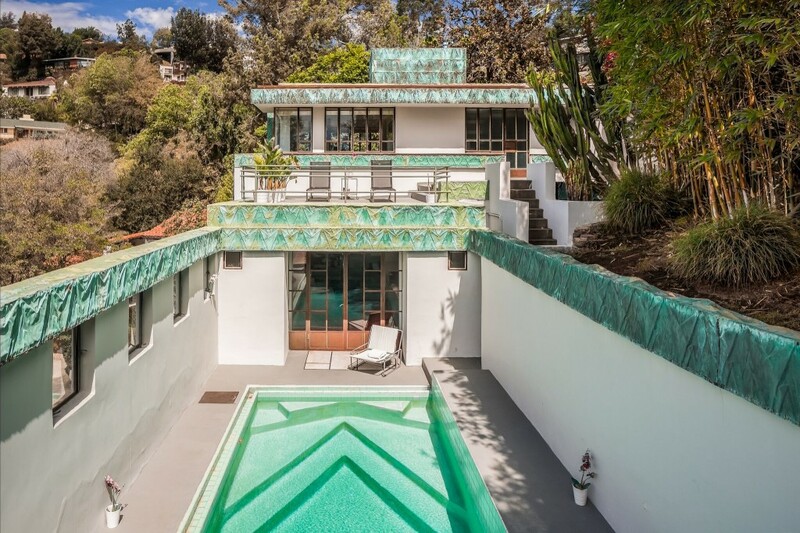 The home was originally designed and built for Louis Samuel, the personal secretary of silent film star Ramon Novarro. Shortly after completion, the property exchanged hands from Samuel to the Ben-Hur star Novarro in a set of murky circumstances (it is alleged that Samuel was caught embezzling funds from Novarro). When Ramon Novarro assumed ownership of the estate he again called on Lloyd Wright for a set of expansions, including a piano room where the charismatic actor would entertain guests. 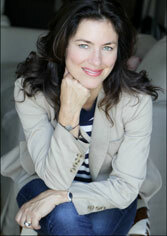 The home offers many well designed amenities. Take a dip in the heated swimming pool, set into a high-walled courtyard that ensures complete privacy. After an invigorating swim, dine Alfresco on the covered terrace with overhanging vines. Soak in the lush views from the balcony. The art deco features of this immaculate villa are simply breathtaking. The central living room with polished concrete floor and fireplace steps down at one end to a dining room with casement style windows and doors that open to a trellis-shaded dining terrace. The kitchen is completely updated and modernized with white, hardware-free Shaker style cabinetry, fantastically thick slab marble counter tops, and high-end designer appliances. 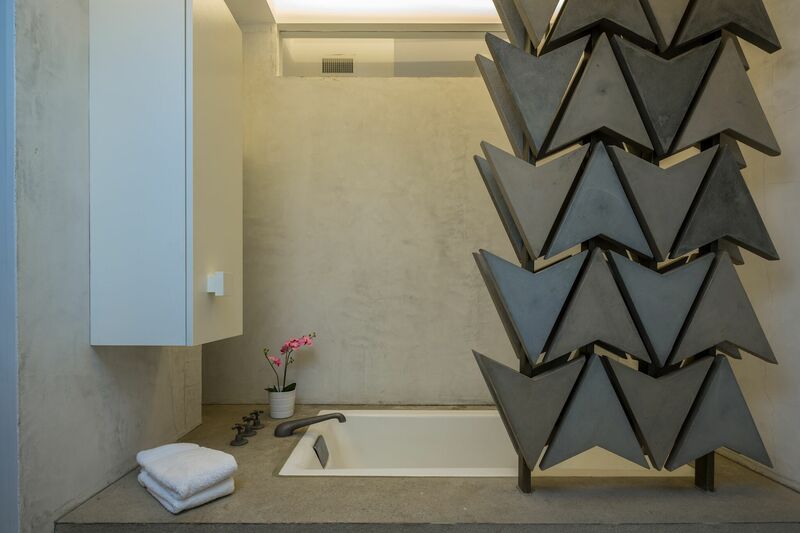 The master bedroom has a minimalist all-concrete bathroom that features a decorative screen made of three-dimensional, arrowhead-shaped concrete blocks. One of the oversized guest bedrooms is privately located on the lower floor where it opens to a sizable terrace. 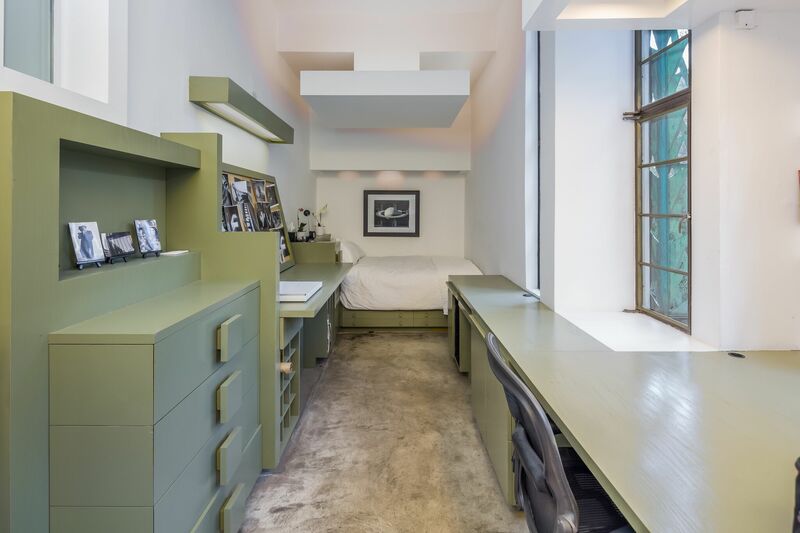 A superbly designed office is efficiently lined with custom built-ins that incorporate desk space, a dresser, open shelves, enclosed storage and a bed. End your day at home in the Samuel-Novarro house by relaxing in one of the many luxurious indoor or outdoor spaces. Blaze up the fireplace on cooler nights as you snuggle up with a good book or a loved one. 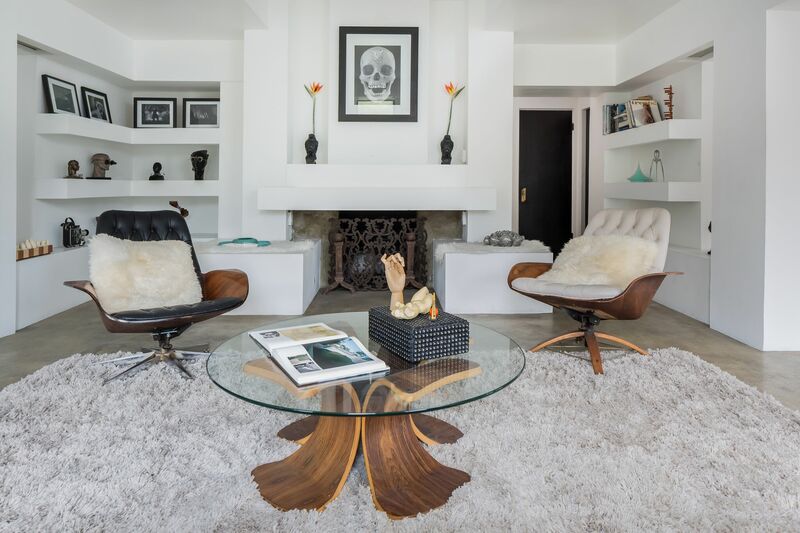 Over the decades the Samuel-Novarro house has been occupied by a number of entertainment industry heavy hitters including Leonard Berstein, Jerome Robbins, Diane Keaton and Christina Ricci. 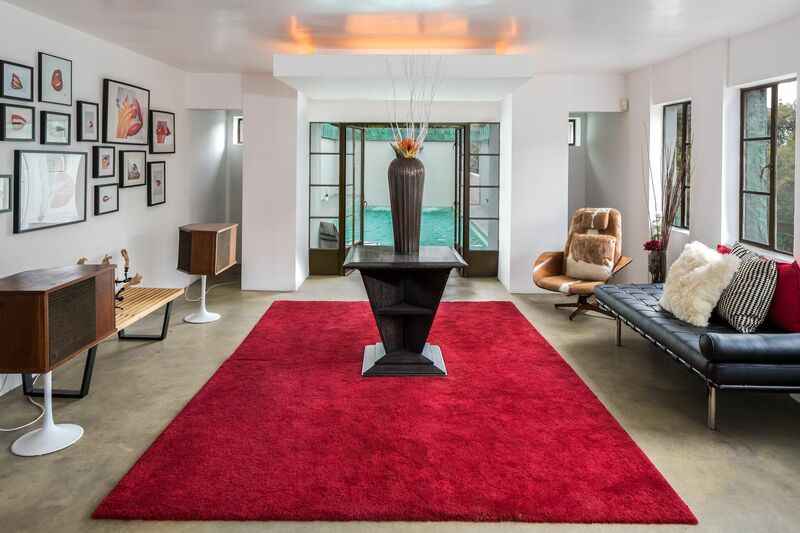 Located in the exclusive neighborhood “The Oaks” of Los Feliz and featured in numerous books and publications, including Architectural Digest and Lloyd Wright, this is is your limited chance to own a true masterpiece of art and architecture. You can view the complete listing by clicking here.